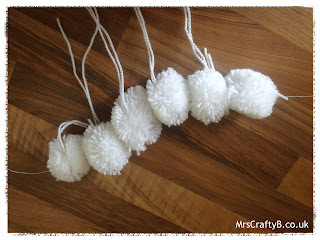 First up you will need to make some white and blue pom poms. The white should be 'medium' sized and the blue smaller, but obviously this can be adjusted depending on how big you want your cloud to be. Giant pom pom cloud anyone? Thread 6 of your white pom poms onto a piece of white florist wire. I used 30 gauge, 36cm. 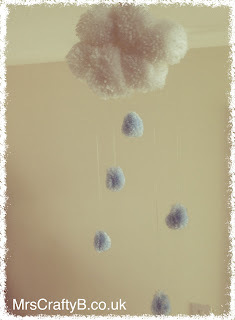 Take as many blue pom poms as you would like to include as rain drops. 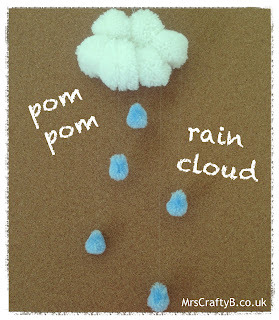 Hold the 'tails' and trim into rain drop shapes. 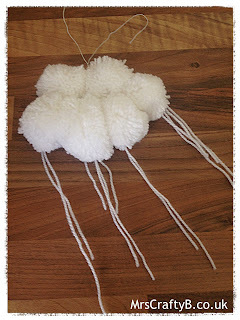 You won't need the 'tails' here either as you will add them to your cloud with transparent thread. 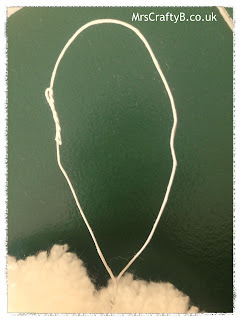 Lay out your cloud and rain drops in a pattern to get an idea of where you will tie the raindrops on and how long your threads should be. Using your transparent thread, tie the rain drops on using a large needle to thread through the cloud to secure. 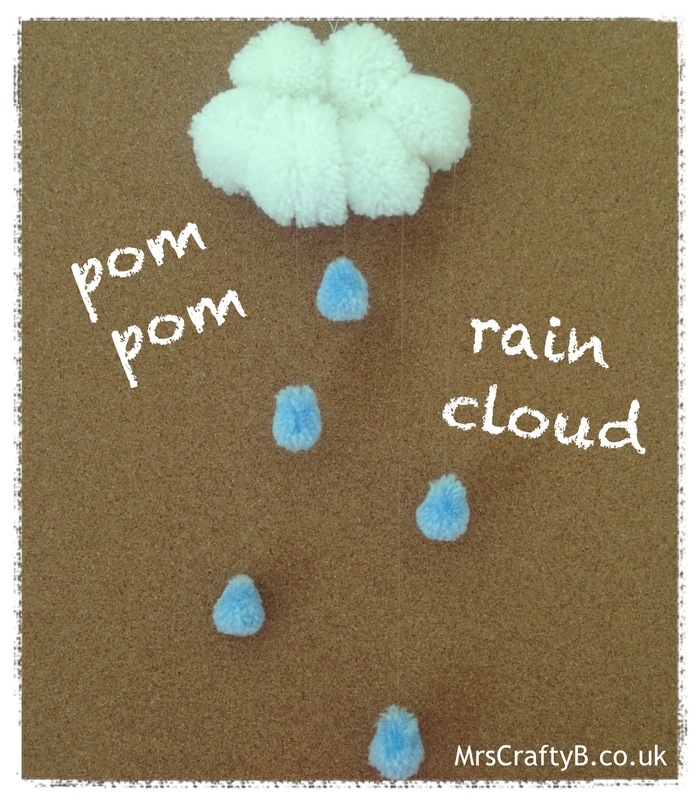 Now you have your own super cute pom pom rain cloud! 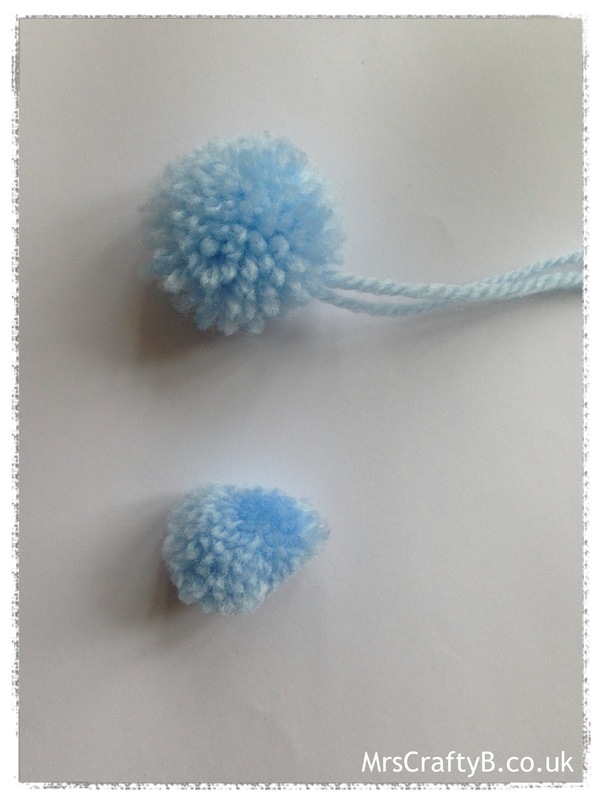 You can find yourself a Multipom here. If you give this a go, don't forget to tweet me you finished project or post it to the Facebook page using the links below. *This was not a sponsored. 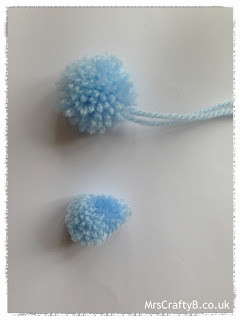 I was gifted the Multipom for purpose of review but the project was of my own design and all opinions are my own.